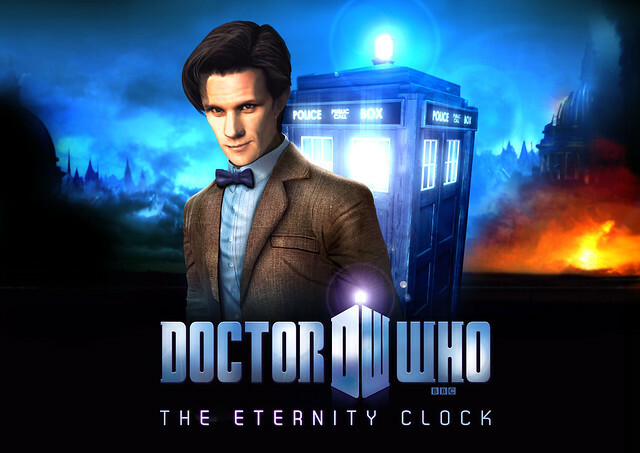 Welcome to the second blog on Doctor Who: The Eternity Clock. I’m Simon Harris and I am the Executive Producer for BBC Worldwide on the game, which means the project is my overall responsibility. I need to ensure that all aspects come together to make a great game that stays true to the Doctor Who brand. This means working with our developer, Supermassive Games, across areas such as design, art and programming. It also extends to working with the Doctor Who teams in London and Cardiff to ensure that everything looks and feels as it should. For this blog post, I thought I would give you some insight into the monsters which will be appearing in the game. This goes alongside our first gameplay trailer, released today, which showcases them. Choosing the monsters for the game turned out to be a more of a complicated process than you would imagine. 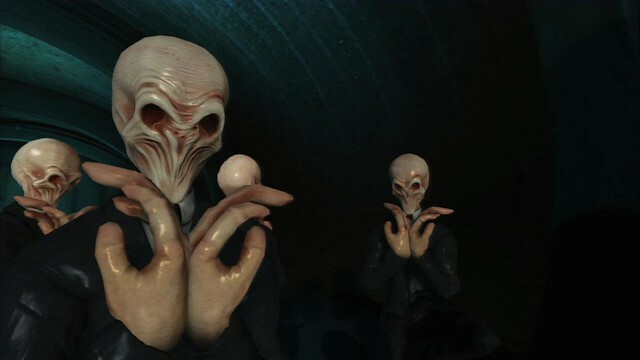 Initially, when Supermassive put in their design pitch for the game, they had chosen the four monsters they would like to see, both as Doctor Who fans and from a gameplay point of view. However, at that time they weren’t aware of the new monsters that were going to be shown in the new series, which was just about to start on the BBC. Given the high level of security we place on information about the show, there were some great discussions where we had to talk very cryptically about a specific monster. We had to balance this with trying to understand what the design team at Supermassive wanted to achieve – we didn’t want to include new monster if it completely broke the gameplay plans. Thankfully the design change felt good and The Silence was added to the monster line up. I’m not going to tell you which one got cut, but I can promise it will make appearance in a future game. Having settled on our monster line up — the Silence, Cybermen, Silurians and the Daleks — work started on the detailed game design on how they would challenge the Doctor and River. We also had to start modelling the characters for the in-game graphics. Accuracy is vital, and it was essential to have the models looking like they do in the show. It was great to start working with the Doctor Who teams in London and Cardiff to ensure our dimensions, the shaders (the technical term for an aspect of the graphics which give a texture a look and feel to it such as steel or cloth) and the colours were all entirely correct. It was during this process that something slightly surprising happened. The art team at Supermassive were getting really positive feedback on how the monsters looked, which was great, and the Doctor Who team then asked if we could make some changes that deviated from the reference photos. It turns out that there were a number of small tweaks which the team would have loved to make to the designs of the monsters on the show, but had been unable to for various reasons. At this point they saw the opportunity to make these tweaks in our monster designs. Of course, we were more than happy to include these amendments. So, whilst your watching the trailers or playing the game, send a tweet to @DoctorWhoTEC if you think you know what the tweaks we have made are… We would love to see how eagle eyed the fans are! Having got our standard monsters all approved and looking great, we turned our attention to the game “bosses.” As all Doctor Who fans know, there is always a leader or central character driving the troops forward and so we wanted to see if we could create some monster leaders which really utilised the technology and visuals we have at our disposal working on PS3 and PS Vita. So, just an insight into some of the thinking and things that happened to get our monsters into Doctor Who: The Eternity Clock. I’ll be back soon with another blog detailing more information on what goes on behind the scenes of making our game. I am extremely excited, happy, and crazy that this game is coming out on the PS3 and PS Vita! I’m definitely getting this for sure! hmm i am not sure how to feel about this game now. i was really hoping for a point & click game, but this looks more adventure-y..
Yeah I dunno … I am not a big platformer fan. Even if I were, to me Doctor Who is not really an action show, and doesn’t really deserve an action game. If there’s a demo I’ll try it out, absolutely, though. Anyhow, really looking forward to playing as the Doctor, and River, on Playstation hardware. 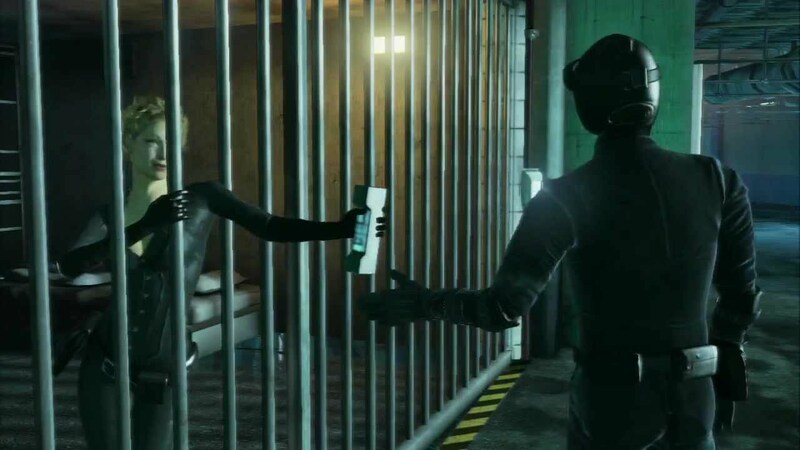 One question – will the PS3 and Vita version be the same? That is, if we purchase one version will it transfer over to the other system or do we have to buy them individually? I see they are going in a different direction then other who games iv seen. Which from my experiance is a good thing. Hope this turns out well. I NEED this game already! As a big dr who fan im excited. 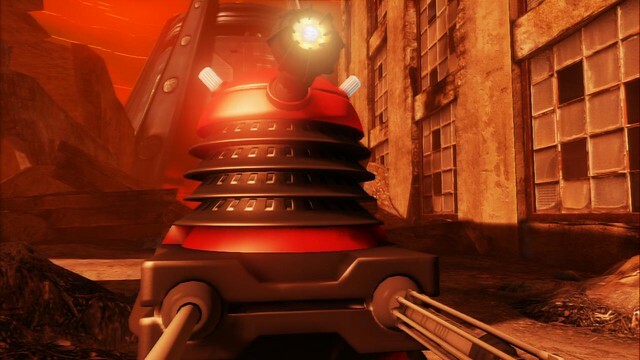 i hope if this is successful we see more dr who game in the states! 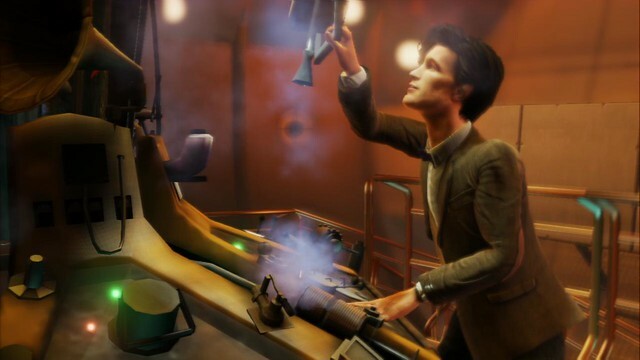 Although im not a big fan of Matt Smith characters, hopefully we can see more of the past doctors get a game as well. Looking forward to this, just don’t screw it up. I have a question, if you buy this for the PS3, would you also get it for the Vita? Or would you have to buy it twice? I know some other games make it so you only have to buy it once, and I was just wondering whether anything had been said about this. I really enjoyed the PC Doctor Who games that were released recently, I wonder if this one will follow the same design. I am looking forward to see where this goes. Thanks for the update. I just watched the video (first time I was on my Ipod and must of missed it). So it is a side scrolling 2D game with 3D enviroments. Looks kinda like that Matt Hazard game since you can turn and shoot in the back ground. Are these the Vita graphics or the PS3? I have to agree with bakerarmy. This looks like nothing more than a side scrolling game with a jump button. I mean granted the Doctor doesn’t use traditional weapons, but from the looks of this video the game will not live up to the hype. This video makes the game look like something they threw together in like 2 months. I would prefer it been something like the Back to the Future game(s), and I am on the fence about those. Guess we’ll just have to wait and see what happens. At first glimpse looks cool but we’ll see if worths the buy. I have always wanted a true, core Doctor Who game, but I don’t know about this. It looks like, I don’t know, a child’s game on the PS3 and Vita. The game’s going to be a Blu-Ray, take advantage of that and make a game story based. I think Doctor Who would make a great RPG-like game. Oh, yeah, but instead of combat, you use words, like the Doctor. Wish they would announce the price of the game, I am hoping like around 20.00 like most DLC on PS3 is.